A peppy video that is uniquely and chicly French announces a new airline philosophy. It shows social media channels and assumedly young and trendy animated travelers getting ready for insta/snap-worthy adventures. The new airline product is Air France’s Joon. Joon (@weflyjoon) claims to be unlike many spinoff airlines in recent years, like Air Canada Rouge and Cathay Dragon, that focus on a low-cost model. 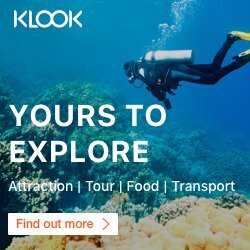 Instead, an Air France/KLM release says, “Joon will not be a low-cost airline as it will offer original products and services that reflect those of Air France.” It also says it is “aimed at a young working clientele, the millennials, whose lifestyles revolve around digital technology. This new brand has been entirely designed to meet their requirements and aspirations.” There is one caveat. The release did not mention how Joon specifically will achieve this goal. The launch of Joon reflects a growing and increasingly important travel group of 18- to 35-year-olds. The demographic’s increasing dependence on technology and social media channels make it harder to capture attention. Industry expert Henry Harteveldt of Atmosphere Research Group questions the decision to create a whole airline brand around the demographic. Will Joon Lead Through Innovation? Alicia Esteban, a television news producer in New York City, is the type of traveler Joon wants to attract. She is in her 20’s, but has already achieved substantial professional success. Esteban’s social media channels show her in a yoga pose in Southeast Asia. While she enjoys amenities such as on-demand entertainment and snacks, her flight decisions are made first and foremost with her wallet. The key to Joon’s success may also come from pulling customers from the right places. Harteveldt said, “If Joon is successful, it could cannibalize its (Air France’s) own business. But it is better to eat its own than have business taken away by other brands.” Joon will also have to be careful to not lure its own customers from a higher price point on a sister carrier. That means using a combination of amenities with a value proposition. Carriers at all price points have tried to woo travelers with included perks. JetBlue is one of the earliest examples with free on-demand TV and snacks. More recent examples globally include gate-to-gate WIFI, seat-to-seat chat and touchscreen food ordering. To succeed in a tech race that keeps moving faster, Joon cannot follow. It must find its own innovation. That begins with technological ease in booking through an app or online, and continues through the check-in, boarding and flight experience. If the core audience of Joon is expected to be more technologically adept, the airline could see cost savings. Carriers including Ryanair have implemented baggage self-tagging and weighing. It solves two problems: long lines and high labor costs. Possible head-to-head competitor Lufthansa is expanding its “Quick Boarding” program on select flights from Munich and Frankfurt. A passenger swipes a barcode from an electronic boarding pass and the turnstile opens for approved boarding. Joon could build on this innovation if it is developing a boarding process based on efficiency, which would appeal to the fast-paced life of a millennial on the go. European upstarts are seeing some success. Carriers such as Wow and Norwegian, have seen significant recent expansion. Level, an airline launched by British Airways/Iberia parent company IAG, a prime competitor to Air France/KLM, started service between Barcelona and Los Angeles in June. It is too early to gauge its success. All the carriers offer a model with bargain airfares that require purchase of everything from a seat assignment to food – even for longer international flights. The question is how. Delta Airlines launched a separate low-cost carrier called Song in 2003. It had dedicated crews and ground staff, but only lasted a few years. However, it turned into a proving ground for mainline Delta. The parent carrier wound up inheriting changes customers liked about Song including entertainment and boarding procedures. Joon could potentially turn into a laboratory for other divisions of Air France/KLM. At this point, it is too early to know whether Joon will offer distinct routes or run against parent carrier Air France. However, Air France/KLM indicated that it will offer medium- and long-haul service. Its press release shows renderings of Airbus A320, A340 and A350 aircraft. Air France/KLM is still working out other details and promises more information about the product and destinations in September. Jay A. Alpert, a New York-based contributor and former resident of Las Vegas, has a hard time staying in one place and at one elevation. He’s a gold level flyer on United, but strays occasionally from the Star Alliance for the right scheduling or airfare deal. On the ground, he is an award-winning writer whose portfolio spans broadcast, print and online. His work has appeared in media throughout the English-speaking world. He’s even had his writing translated into Korean. When he feels like laying low, Jay is a PADI diver with advanced certification and has hit sites from the Florida Keys to Sipadan, Malaysia.